In 1949, a young fifteen-year-old sophomore student from Plainfield High School in New Jersey made a decision to become the greatest athlete in the world. It was a pretty ambitious objective – an idea that most fifteen-year-olds wouldn’t even dream about. But Milt Campbell has proved to the world he was no ordinary fifteen year old. You see Milt had been studying the life of the man whose picture was on the back of the Wheaties box, Bob Mathias. Bob had won the gold medal in the decathlon competition at the Olympic Games in London, England in 1948. Mathis’ success inspired Campbell, who began to train his mind and body to do what Bob Mathias had done. Milt started to visualize himself standing on the top step, having the gold hung around his neck in Helsinki at the Olympic Games in 1952. He worked hard and trained hard. Milt gave the best he had, and just as he predicted, off he went to Helsinki. He had earned the right to be one of the athletes to represent his country in the decathlon. Unfortunately for Milt, Mathias wasn’t satisfied with the gold he had from the London games. Bob Mathias wanted another gold medal and he got it. Campbell had to settle for silver, but he didn’t quit. Standing on the second step, Milt Campbell laid claim to the gold that would be handed out four years later in 1956 at the Olympic Games in Melbourne, Australia. Because he wouldn’t quit, Milt Campbell earned the gold – he realized the dream he carried in his mind for eight years. Prior to writing this story, I had just finished having a telephone conversation with Milt. He and I were arranging to meet in Atlantic City the following week where we were speaking at a conference. As I always do when I’m talking with Milt, I asked what lesson he learned from his experience. He said he had many opportunities to quit. It was tough. With every worthwhile goal, it’s the same – a door will always open to let you out gracefully. 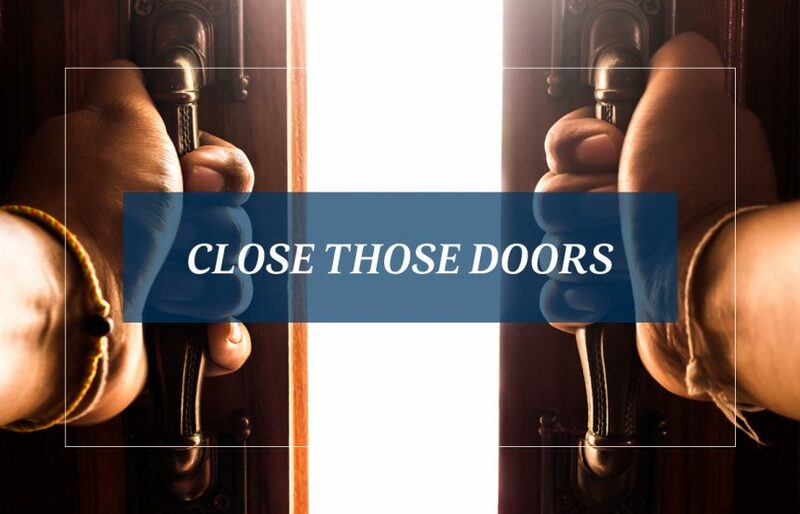 You must close that door and keep focused. Don’t ever quit. Milt Campbell didn’t and he became the first African American to win the gold medal in the decathlon of the Summer Olympic Games. Milt has since passed away, but his sense of determination to achieve what he desired continues to inspire me to this day. Join Bob Proctor and Sandy Gallagher from anywhere in the world via your laptop, cell phone, or tablet for the Paradigm Shift Event that is happening next weekend. You will also get a 14-day replay of the entire seminar. Click here for all the details.